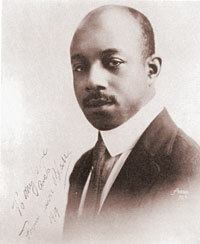 Listening to “Sounds of Africa ” (later renamed “Charleston Rag”), you can hear that it is essentially a ragtime song, but it is one that defies expectations at every turn, treating ragtime as a means rather than an end. 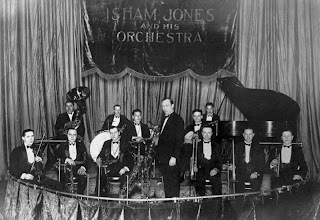 Blake, who would go on to compose many popular Broadway hits, exhibits that innate sense of timing that jazz lovers would later term “swing.” He turns in a performance that goes beyond being merely technically impressive and veers towards inspiring. Blake’s left hand maintains a rapid, steady tempo for the most part, but stops or varies its pace in places to add wonderful depth and shading to what his right hand is doing. And what his right hand is doing is simply amazing: a madcap drive through myriad moods. First it plays sparely, pounding selected notes on the keyboard as if it were a percussion instrument. The pattern of notes soon gets more complex, speeding or slowing or taking a sudden turn into something unexpected, and keeping the listener spellbound to the very end. Johnson was the “Father of Stride,” the undisputed master of the style in the 1920s and a major influence on future jazz pianists. “Carolina Shout” (his most famous recording) and “Keep Off the Grass” both show Johnson’s playing at its finest. “Keep Off The Grass ” sounds like ragtime sent rolling downhill with no brakes. It is an extraordinary piece that careens around the keyboard with wild abandon, equal parts mania and genius until it finally rolls to a gentle stop at the end. “Carolina Shout ” by contrast is more measured, though no less impressive. 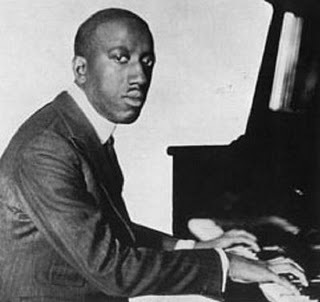 Johnson’s playing sounds relaxed and easy despite the complexity of the piece, and the unexpected flourishes throughout sound natural and fluid, never coming across as gimmicky. 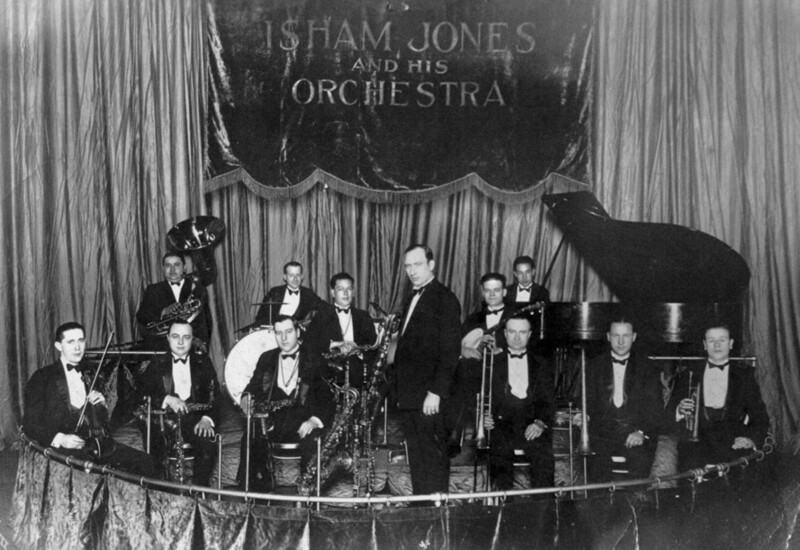 Isham Jones was another popular bandleader that infused his society dance music with shades of jazz. “Swingin’ Down The Lane” was one of his most popular hits. While there is nothing revelatory here, it is an enjoyable record with a light, carefree melody and great interplay between the instruments.